A whitewater kayaker on a play wave, Baker River, Chile. 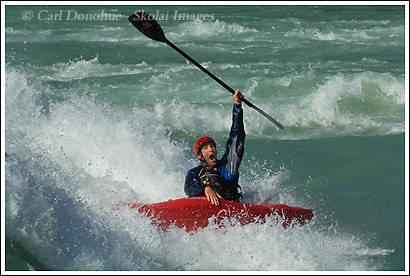 A Crazy Kayaker on the Baker River, Patagonia, Chile. A whitewater kayaker goes for a rail grab on a massive play wave on the Rio Baker, or Baker River, Patagonia, Chile.